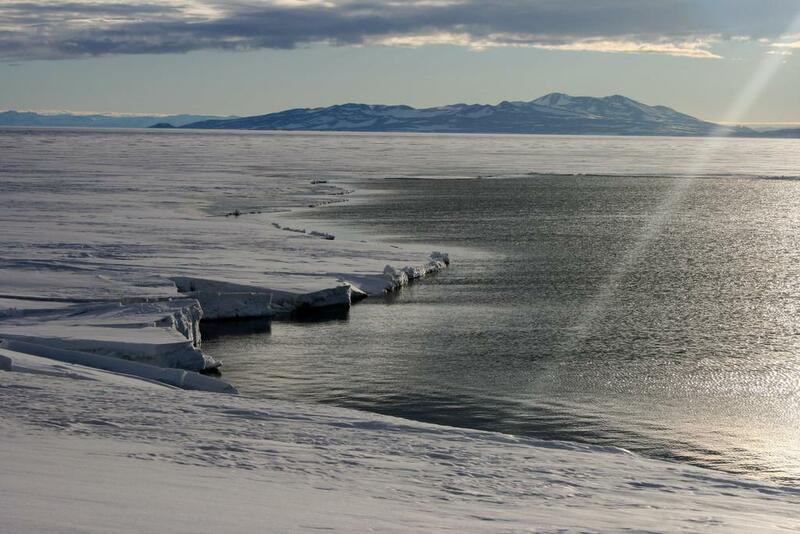 Published in the journal Nature, the study sounded alarm: “In a warming climate, enhanced surface drainage could accelerate future ice-mass loss from Antarctic”. According to the scientists from Columbia University's Lamont-Doherty Earth Observatory and the University of Sheffield (UK), there is not enough information to decide whether the level of surface melting increased in the last seven decades. Antarctica’s coasts are dotted with floating platforms of ice (or ice shelves). They support the massive glaciers behind them. When ponding (or unwated pooling) water loads and weakens those giant floating ice shelves, they disintegrate. It causes glaciers behind them to flow faster, and thus, ferrying more land-bound ice to the ocean and raising global sea levels. In a rapidly warming world, researchers expect to observe an increase in volume of meltwater on the south polar surface. They have predicted the melt rates could double by 2050. However, what needs to be understood is whether this will make the shelf ice around the continent less stable. 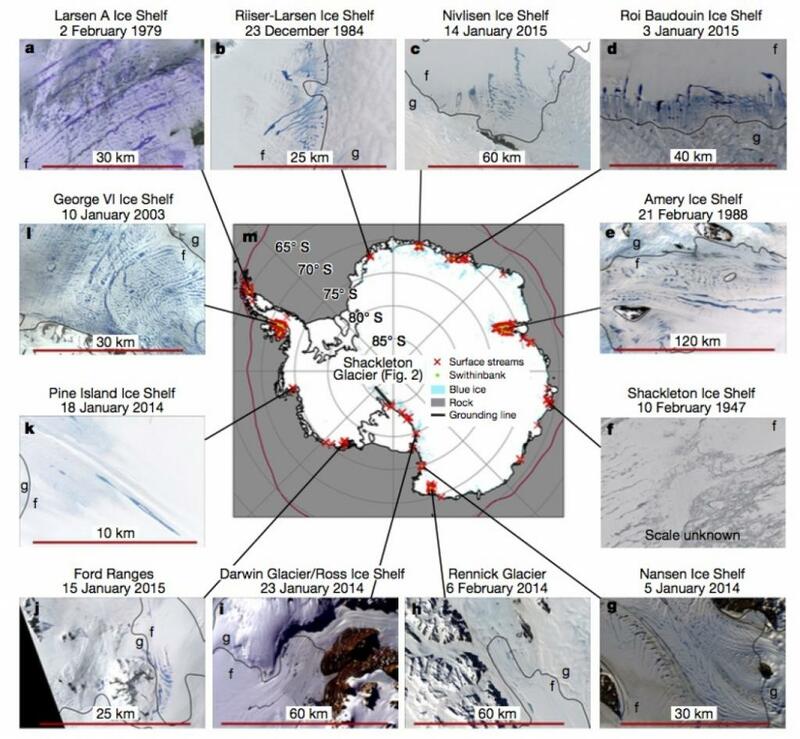 A companion study, led by Robin Bell of Lamont-Doherty Earth Observatory of Columbia University, found “persistent active drainage networks” of interconnected streams, ponds and rivers on the Nansen Ice Shelf in Antarctica that export a large fraction of the ice shelf’s meltwater into the ocean. Nansen is a 30-mile-long and 10-mile-wide ice shelf. The surface river, according to the study, ends in a 130-metre-wide waterfall that can export the entire annual surface melt over a period of seven days. Rapid ice melt and related collapse of ice sheets can have profound effects across the world, including steep rise in sea levels. However, much remains unknown about the speed at which Antarctic ice is melting. It still remains unclear which ice sheets will respond like Nansen Ice Shelf and which will have the destabilising effect.